You can visit this confectionary restaurant after seeing University of Hawaii at Manoa Campus. Vegetarian cuisine is to guests' taste at Banán. The cooks here prepare tasty pies. 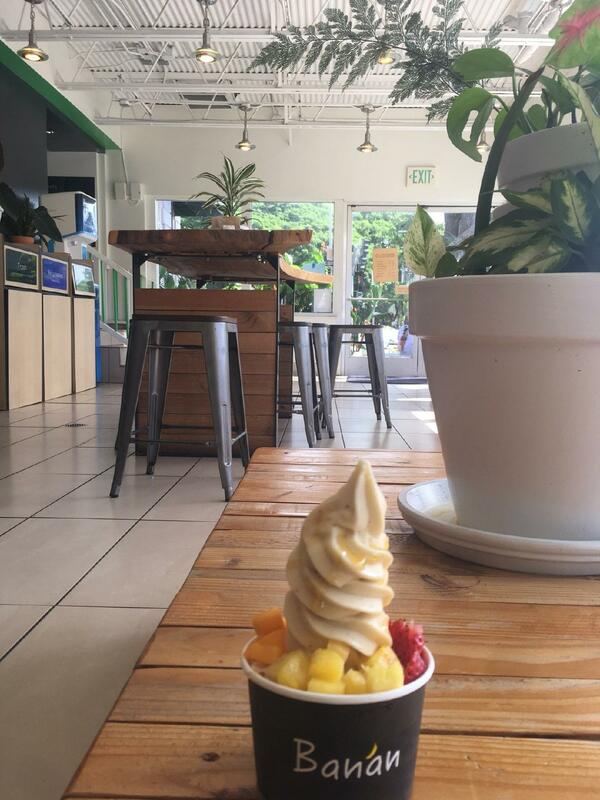 It's worth coming to this place because of nicely cooked froyo, fruit ice cream and acai bowls. Good bitter will make your meal even more delicious and you'll certainly come back. 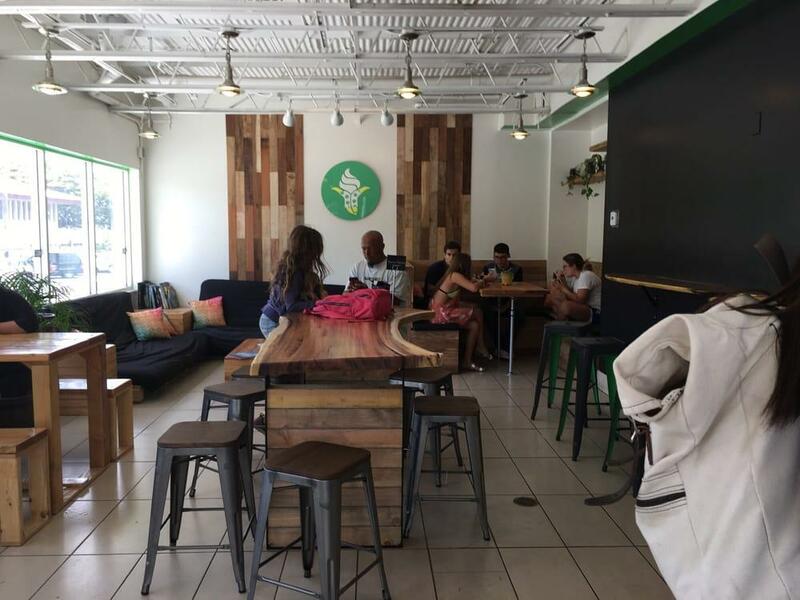 This place is famous for delicious matcha, smoothies or coffee. The atmosphere of hospitality of this spot highly depends on the staff, that is cool here. If you want to experience fabulous service, you should go to this confectionary restaurant. Delicious meals at democratic prices are provided here. You will appreciate the divine decor and exotic atmosphere of Banán. On Yelp, this place is rated 4. 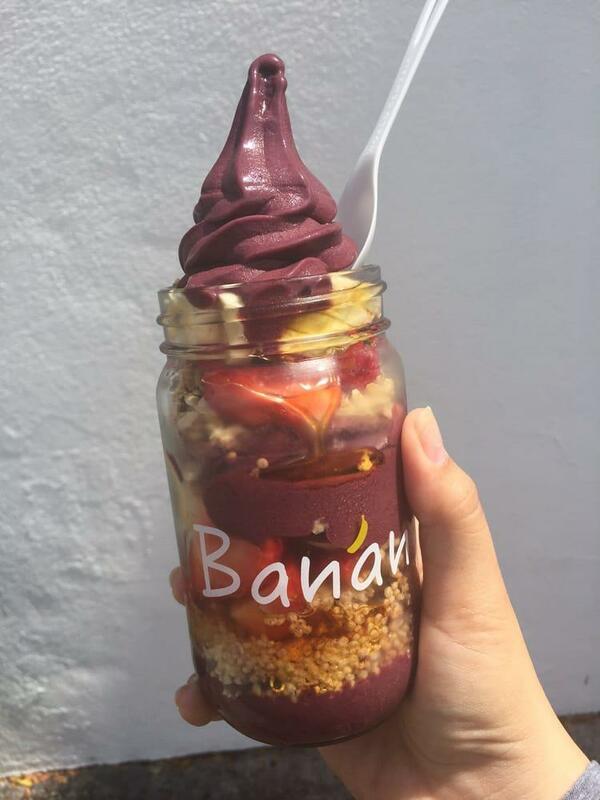 Tried Banan for the first time on the weekend. I tried the classic banana flavored dessert; forgive me, I forget the name. I wanted to try it because the non-dairy part appealed to me as I'm attempting to live healthier and lose weight. The consistency was fine, but it had a bitter taste that lingered on the tongue. The price was clearly for the upper middle class or even the ruling class, however, as it was over $7. 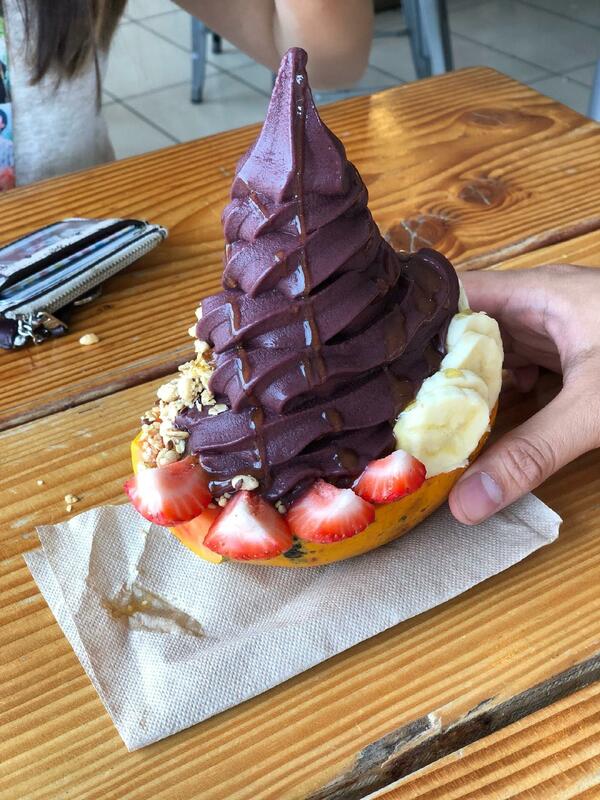 If someone rich treats me to Banan, I will come back and try another flavor. Barring that, however, I will probably just experiment with making vegan desserts at home. I got the macadamia honey nut butter one, and it was very good. I love the banana base and the decorations were very nice. 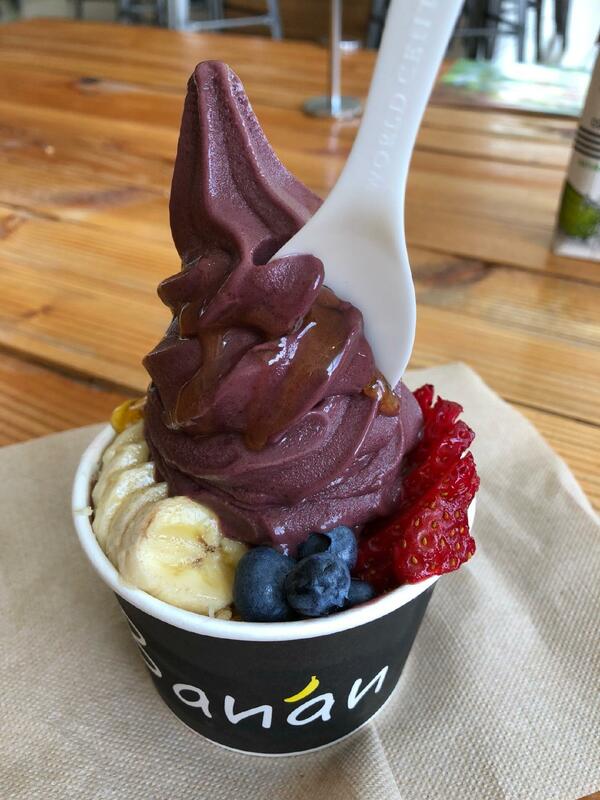 The dark chocolate chips and coconut shavings added quite a lot, the toppings (including the honey nut butter) were dispersed very evenly throughout the bowl, which is always nice. Sometimes the extras are only on the top, but here they were additions to the entire bowl. The only downside is there are no bathrooms on site, but it's no big deal. I'd come back.